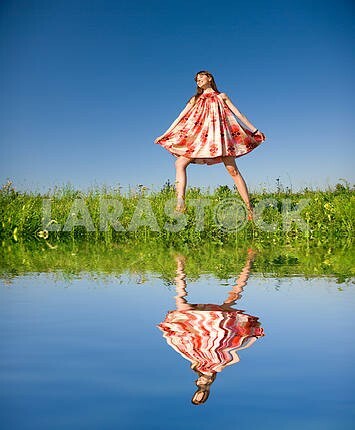 Description Happy girl fleeing on a meadow. In red dress and red shoes. Against the backdrop of blue sky. 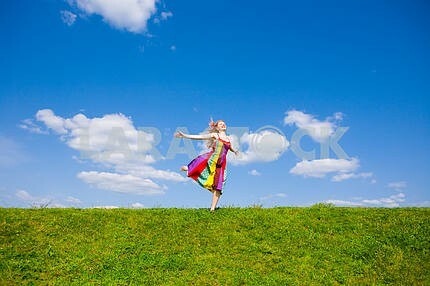 Description: Happy girl fleeing on a meadow. In red dress and red shoes. Against the backdrop of blue sky. 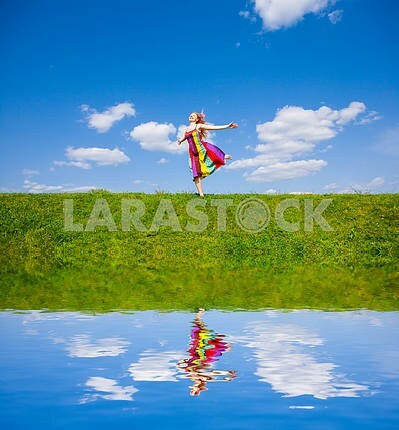 Image Description: Happy girl fleeing on a meadow. In red dress and red shoes. Against the backdrop of blue sky.